This Naphthol Red is yellowish, with a high tinting strength and average drying time. It produces warmer shades and tints. 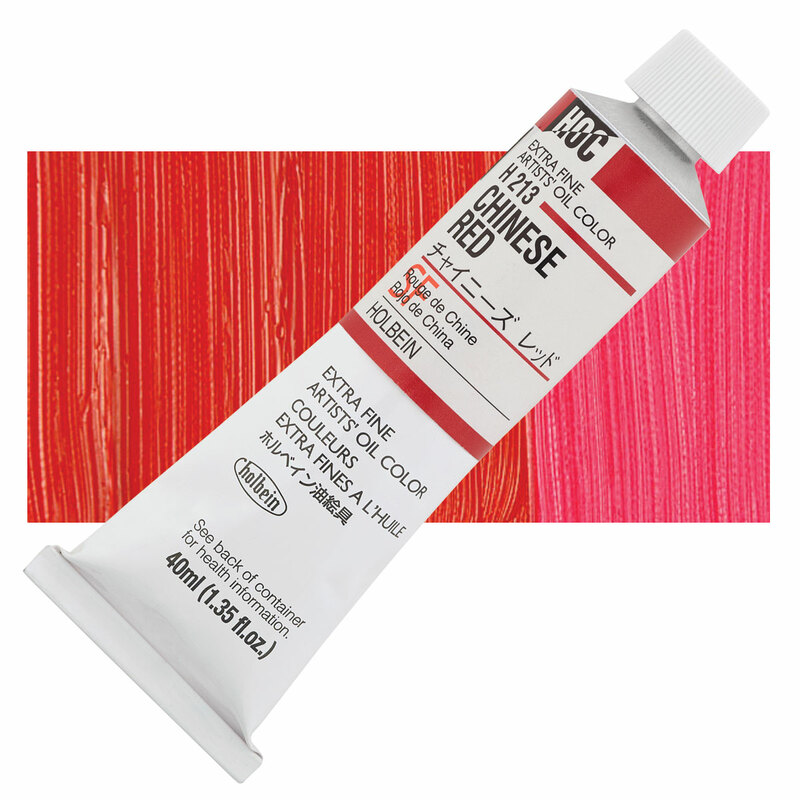 This Naphthol Red has excellent lightfastness, though it is generally not considered adequate for exterior use. Naphthol pigments are actually dyes that are "laked" to form pigments. First developed by the German chemical company Hoechst A.G. before World War I, their use in artist paints began in the 1920s.